The Blue Mountain Butterfly is a large and stunningly beautiful butterfly living in the tropical rain forests of Indonesia and Australia; it is also the emblem for Queensland. The Blue Mountain Butterfly is also known as the Mountain Blue, the Blue Emperor and Blue Mountain Swallowtail. 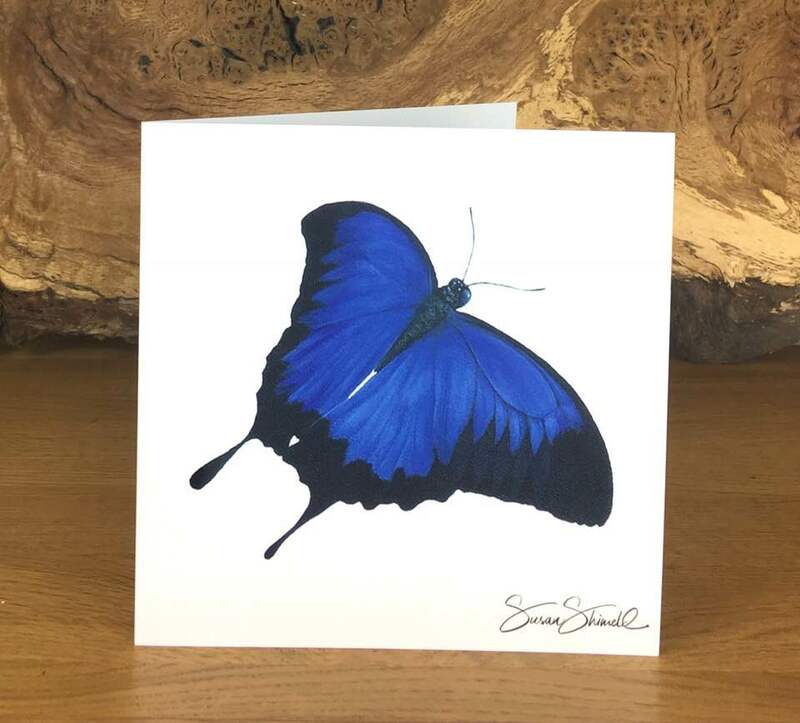 This large bright blue and black swallowtail butterfly has a wingspan of about 5.5 inches (14 cm), and I thoroughly enjoyed diving into the vibrant blue for my oil painting of this handsome blue butterfly. Both the male and female have a long 'swallowtail' but the females, though very pretty, are more subdued in colour.